Hello from Chicago! 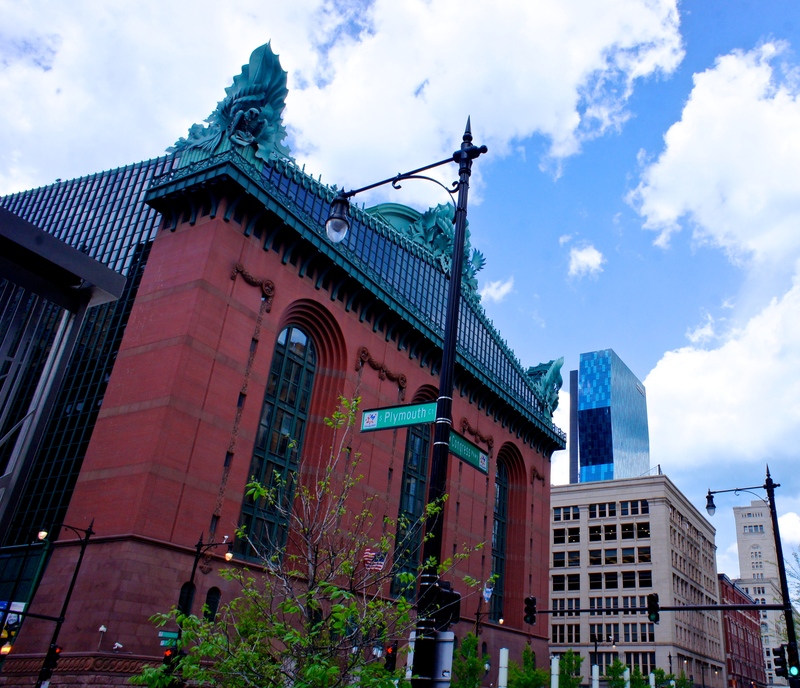 Students from Dr. Schramm’s History 4001 course (Chicago: Architecture, Technology, and Culture) have been absorbing the sights and sounds of the Second City for a few days now, and I’m honored to bring you the course’s first blog post. It’s difficult to believe we’ve only been here since Sunday evening. In that time, we’ve gone on six tours, become members of the Chicago Architecture Foundation, and eaten some amazing food. To get you caught up, I’ll do a bit of a day-by-day recap. Monday, we trekked to the Chicago Architecture Foundation to become members and schedule our tours for the next week and a half. After completing that and exploring a little, we boarded the El to Chinatown for a quick and delicious lunch! 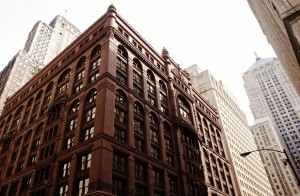 We had our first tour (Historic Skyscrapers!) 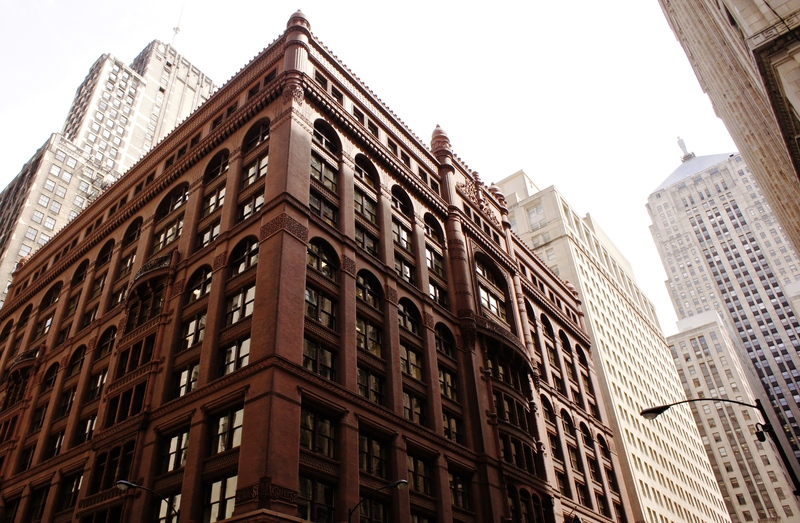 that afternoon, and we learned about innovative and impressive buildings like the Monadnock and the Rookery. 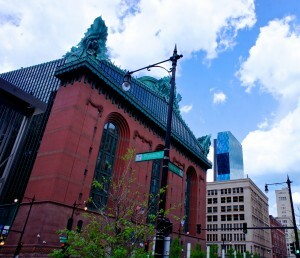 Tuesday began with a bus ride to the Chicago History Museum, where we viewed exhibits on touchstones of Chicago culture. After lunch in the Loop, we set off on the course’s second tour (Modern Skyscrapers this time). 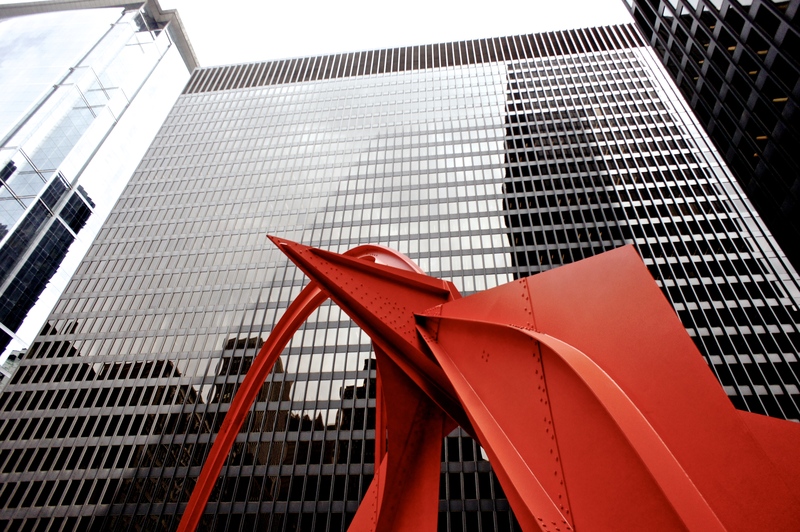 The tour provided insight into the work of Mies Van Der Rohe, notably Federal Plaza, as well as the Chase Building, Trump Tower, and (perhaps my favorite buildings in all of Chicago) Marina City. 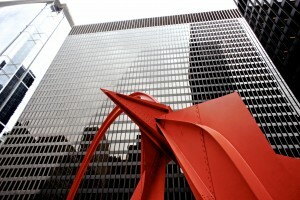 We also got to admire some of the amazing public art located in downtown Chicago. After some late afternoon free time, we took an enlightening tour of the up-and-coming Lakeshore East residential neighborhood, which perfectly embodies the city’s motto of “Urbs in horto” (City in a garden). 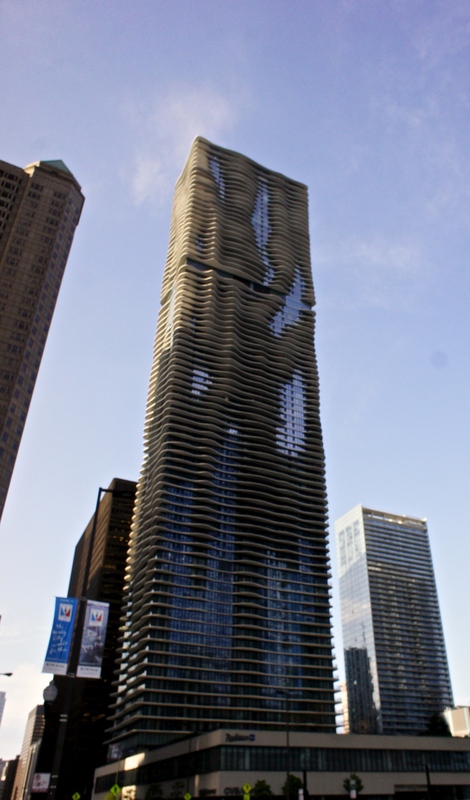 We also learned about the phenomenal Aqua Tower, designed by MacArthur Genius Grant recipient Jeannie Gang, as well as the details behind the reversal of the Chicago River. 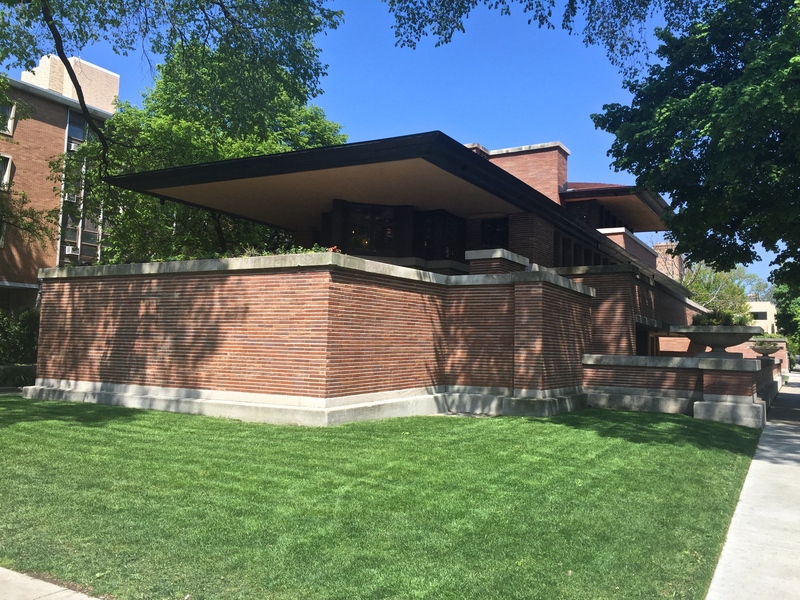 The Robie House is one of the most incredible homes in Chicago. One of my favorite things about it (and Wright’s other residential architecture) is the way Wright maximizes or minimizes space; in transitional parts of the house (hallways, staircasess, etc), the walls are narrow and the ceilings low, so that when you step into a dining room or kitchen, you can almost feel the space opening up. The Robie House is currently being restored by The Frank Lloyd Wright Trust, so it will be interesting to come back in a few years and see what details have changed! 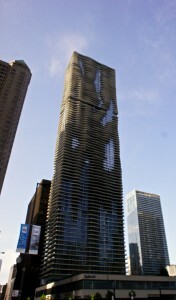 In the next few days, we have more house and neighborhood tours, and next week we’ll be taking a river tour through the Chicago Architecture Foundation, which I’m sure will be fun and educational (as long as it’s not too chilly on the water! ).